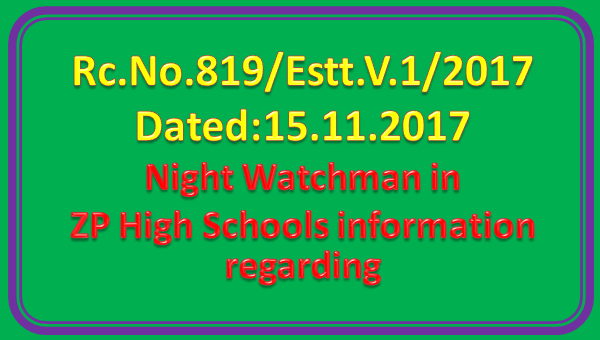 Sub: School Education — O/o Commissioner of School Education, AP, Amaravtai - LAQ.No.919(Starred) - notice given by Sri A.Ananda Rao, regarding Night Watchman in ZP High Schools” - information - regarding. c) If so, Whether the present Government will fill up the said vacancies? This should be treated as most Urgent and the report should reach this office on or before 17.11.2017 without fail.